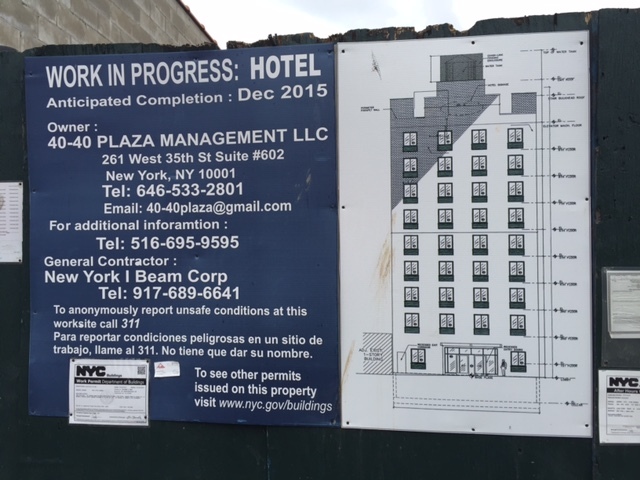 Things are starting to pick up at 40-40 27th Street, the future home of a nine-story hotel. 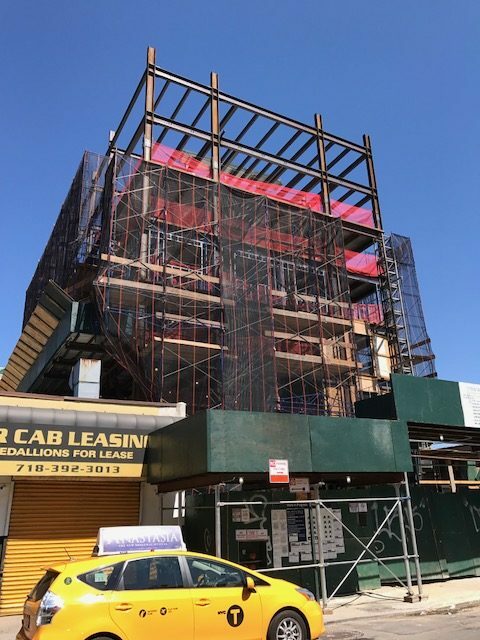 We last checked in back in June when we saw that construction had risen over the fence.1 When we stopped by last week, we saw that steel beams are up to the eighth floor, and that scaffolding has appeared on site. On-site signage calls for a December, 2015 delivery, so obviously that’s not happening.